Protecting the safety and privacy of kids online in Washington, D.C.
As parents, we do whatever is in our power to keep our children safe. When kids are online, though, they may face some of the most dangerous people out there – people who do not wish to protect our kids, and who wish to do them harm. At Paulson & Nace, PLLC, we take action against those who violate the privacy and security of your family and who put your children’s lives and futures at risk. We fight on behalf of victims in and around Washington, D.C. and we are prepared to fight for you, too. The Children’s Online Privacy Protection Act (COPPA) was enacted by Congress in 1998 and became effective in 2000. This law gives the Federal Trade Commission (FTC) the authority to issue and enforce regulations regarding children’s privacy online. You can find the full text of the law and guidelines on the FTC website. There is a complaint form you can fill out with the FTC if you find a website that may not be incompliance with COPPA, or you can call 877-FTC-HELP to submit your complaint to a live operator. It is also good idea to discuss your case with a Washington, D.C. privacy protection lawyer at Paulson & Nace to learn about your rights and about how you can protect your children. In the District of Columbia, it may be possible for individuals or non-profit special interest organizations to bring private rights of action for violations of COPPA through DC’s Consumer Protection Act. 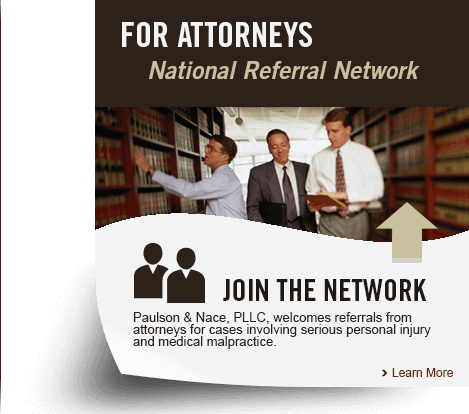 Paulson & Nace, PLLC is dedicated to helping Washington, D.C. parents keep their children safe. Our consumer protection department can help you fight against those who commit COPPA violations. To learn more, please call 202-930-0292 or filling out our contact form.